Happy New Year! / ¡Felíz Año Nuevo! It is hard to believe that 14 months have passed since two back-to-back hurricanes devastated our beautiful island! For the most part, things are "normal" again and I encourage all of you to come for a visit!! Puerto Ricans are especially hospitable toward tourists. This is an island that encourages you to get out and explore the many caves, waterfalls, rivers, mountains and forests. Even if you don't like the beach, you will not get bored with zip-lining adventures, paddle boarding in lagoons, salsa dancing, kayaking in three of the very few Bio Bays in the world, and so much more. Of course there is plenty to do on the beach like fishing, surfing, windsurfing, kite surfing, snorkeling and some of the nicest scuba diving on the island. Even though things are "normal" for tourism and in many neighborhoods, for those who are elderly, sick or were already poverty stricken and live in poorer neighborhoods, it is unfortunate that "normal" has become living under a blue tarp or not having clean drinking water and still being burdened with black outs frequently. This should not be normal. It is sad that more is not being done to help people in need, many of which are still living under blue tarps. Although there are groups here helping out, it is not enough. My friends flew in yesterday from Pittsburgh and said they still saw a lot of blue tarps while flying over San Juan. While our focus has been mainly on water filters and solar lights, one family reached out to us about a new tarp and a roof for their home. The Melendez family is a husband and wife in their 70's and their mentally challenged daughter in her forties. They live in a two story home and the upstairs roof blew off after Hurricane Maria. This caused the upper level to flood and damaged the ceiling of the first level, leaking into the kitchen, ruining all of their appliances. When we visited them a year after the hurricane, they did not have a working refrigerator. They are all diabetic and need their medicine to be refrigerated. They had bought a new stove already but because their kitchen kept flooding (the tarp they had was never installed properly, had holes and was their third tarp), they did not want to buy a new refrigerator. Also, the ceiling was collapsing. To make a long story short - this kind of work really takes a village. By working with volunteers from Fundación Mochileando, we were able to assess their immediate needs and take action. Volunteers installed a new tarp, which is a very difficult task. The volunteers were all Puerto Rican and very hard-workers who took time out of the lives to help a family in need. 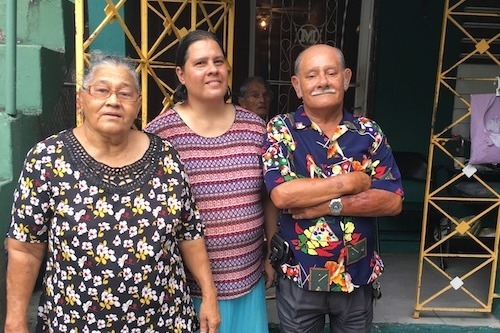 The family reported that their kitchen was no longer flooding and Fundación Mochileando also bought them a new refrigerator. However, a tarp is not a permanent solution. The family made three appeals to FEMA to fund a new roof. FEMA only gave them $400. We attempted to help them with the last FEMA appeal, including letters and phone calls, but the verdict was that no one was living upstairs, so FEMA would not pay for a new roof. Even though the family owns the upstairs, and of course the downstairs depends on whether the upstairs has a roof, FEMA would not budge on their last verdict. 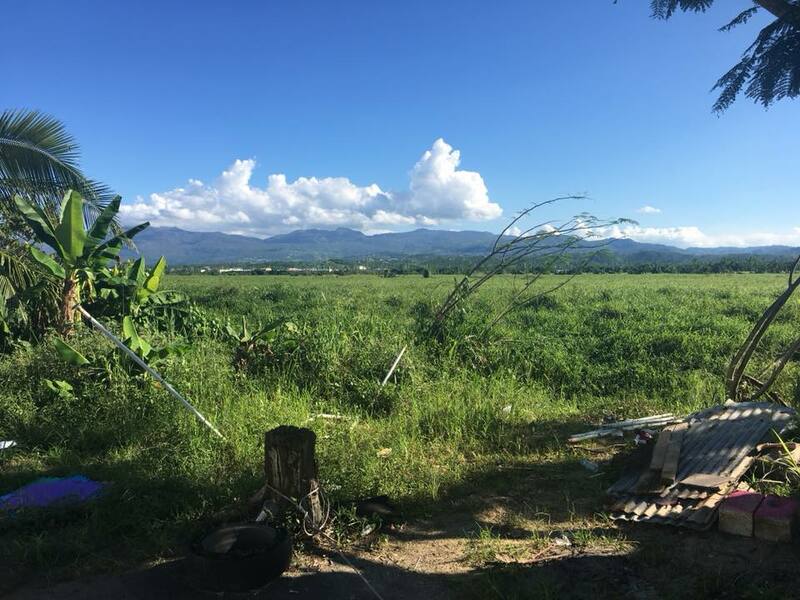 This was disappointing news, but fortunately Fundación Mochileando can get the materials to rebuild a roof AND we connected them with the Rotary Club of San Juan, who has donated $3,000 to Fundación Mochileando for the labor for the roof. We also raised $750 on Facebook to cover costs of repairing the cement. The materials have been ordered and the Melendez family should have a new roof in the next month!! As for water filters and solar lights (!!) 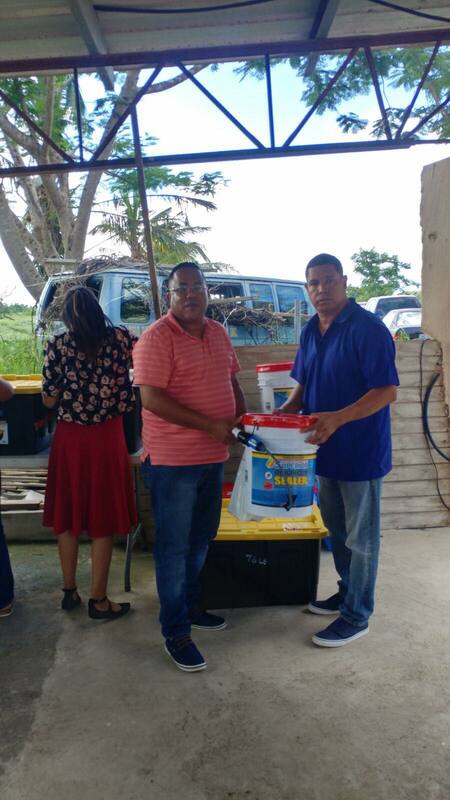 we have been continuing our work with Seimpre Contigo to distribute to several families around the island, including Arecibo, Hatillo, Utuado and San Juan. We also made purchases of dog/cat food and coloring books / crayons for the families with pets and/or kids. We made another purchase of water filters and solar lights and have 216 solar lights and 160 water filters to distribute for the beginning of 2019. We are currently scoping out areas and community leaders for a distribution day. We have a partnership with Sawyer and MPowerd to get filters and solar lights at a wholesale price. 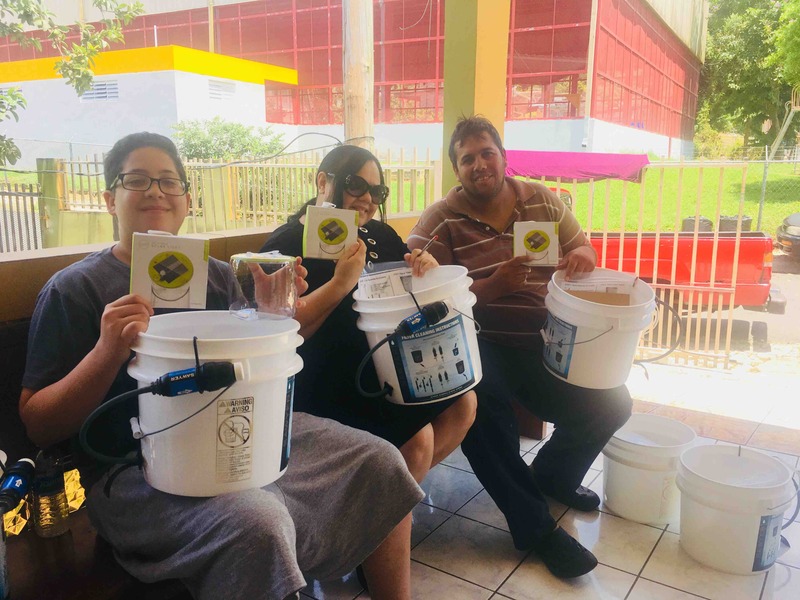 When we delivered filters a few weeks ago to Barrio Obrero in San Juan, the family said they only drink bottled water because their neighborhood floods often (sometimes up to 3 feet) and they do not trust the water. This neighborhood is known for having flooding and sewer drainage issues. Going directly to the families' houses over the past few months, we have seen and learned a lot. Most people we visited are elderly, diabetic or physically challenged. The people have been gracious and welcomed us into their homes. They shared their struggles, frustrations and disappointments. It is difficult to watch your neighbor get $10,000 from FEMA for a new roof, when you are denied for no seemingly particular reason. It is difficult to find people to make repairs at reasonable prices, as so many people need roofs and the workers are mostly booked. It is difficult to keep hearing promises of help by nonprofit groups and then never hear from them again. All this while wondering if their water is safe to drink and their electricity keeps going out. But still, these people soldier on and make repairs themselves or take out loans for the repairs. We have visited peoples' homes while they are working on their roofs or having construction done on their homes. One family we took a water filter was a single Mom with two little kids. The little girl, about 5 years old, was born with her intestines on the outside of her body and can only drink bottled water. The mom lifted the girls' shirt to show us her scars. She said that after Hurricane Maria, they could not find enough bottled water and she was giving the girl juice, but she only wanted water. ;-( The Mom was very happy with the filter and her daughter loved the coloring books we gave her and her brother. This has been an amazing journey that all of you have made possible. While sad and angered at times, I am so grateful to be able to help where it is needed and provide a little hope and comfort in these tough times. Thank you so much for your contributions and your words of encouragement. It has meant so much to be able to give back to this beautiful island and its wonderful people. From Together Puerto Rico, we send our deepest gratitude and hope you all have a Happy New Year. We also want to thank the following volunteers for their time in helping us distribute the filters. Our volunteers have been amazingly helpful and generous with their time. None of this would be possible without them!! Giant thanks to: Angel Rivera, Camila Castro, Zoribel Lopez, Heather Silston, Jen Crowley, Ivan Ruiz. 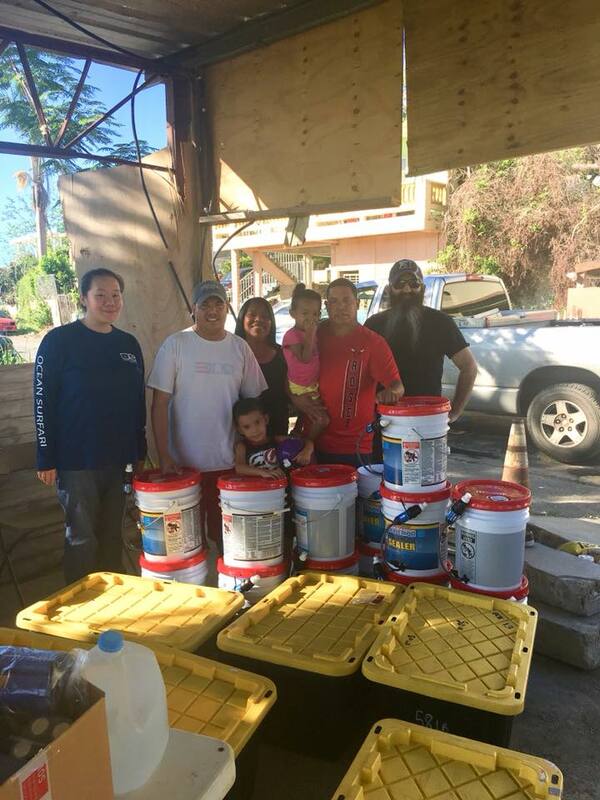 Also a huge thanks to Angela Perozzi Abdullah, Janice Rodriguez, TJ Vetter, Jose Santiago and Aleman for their help in tarping the Melendez family home - this family had a dry Thanksgiving and Christmas as well as a new refrigerator thanks to Fundación Mochileando. We are continuing our work around the island. Currently we are working with Siempre Contigo (which means Always with You) who are organizing our distribution efforts to be directed toward families who have seniors and bedridden people. These families especially need more assistance as medical costs are so high, time so valuable, and people with weaker immune systems need clean water. 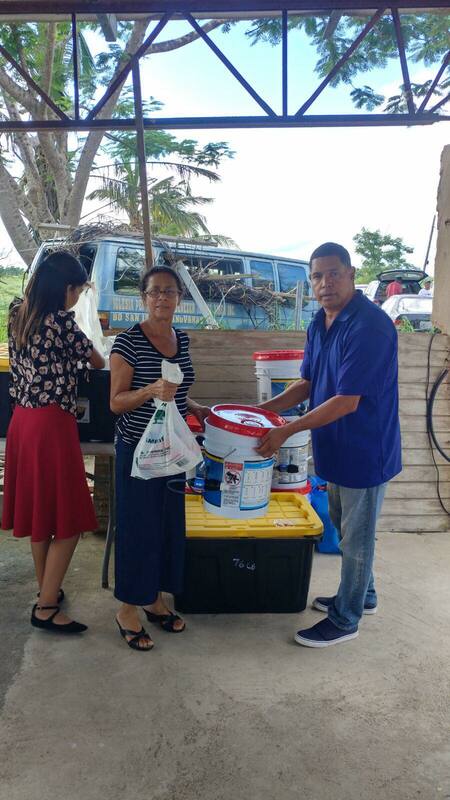 We will be going door-to-door around the island and into the mountains to distribute the water filters and solar lights and other needed personal items that may be in need, such as adult diapers, soaps, toothbrushes, etc. As always, we will keep you posted! Together Puerto Rico is now a 501(c)(3) charity, which means your donation is 100% tax deductible. 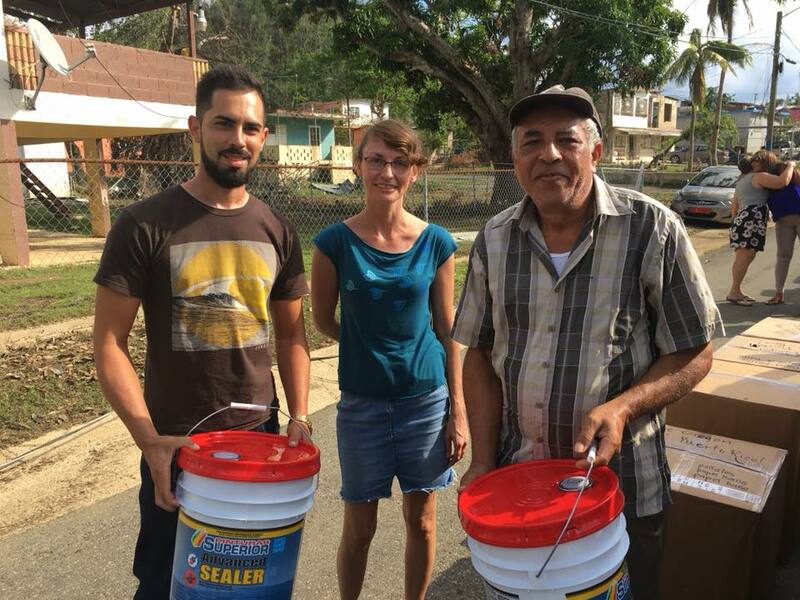 To date, Together Puerto Rico has purchased and distributed 465 solar lights and 500 water filters, along with other much needed supplies. Thank you, everyone, for keeping people healthy and safe!!! We are working to get another 500 water filters and 500 more solar lights in the hands of people who need them the most. We need your help to do it! 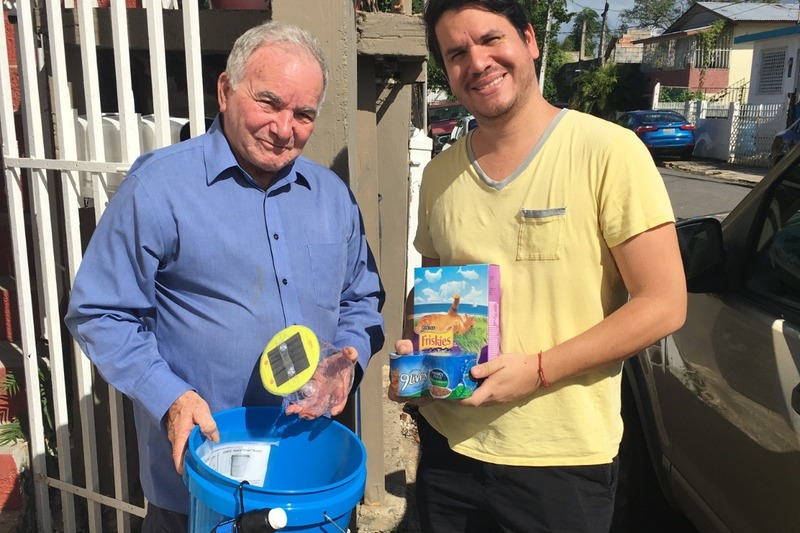 This campaign is focused on purchasing water filters and solar lights for families in Puerto Rico where the water quality is often poor, gets shut off regularly and there are frequent black outs. When there is no electricity, many of the water supply plants do not have the power to adequately clean the water. Our goal with this campaign is to keep people safe and healthy and to let these U.S. Citizens know they are not forgotten. We have partnered with Sawyer Products water filter company to buy the high-quality water filters at cost, reducing our expenditures and making your donation go even further. We have also partnered with MPOWERD to buy the Luci Lights at wholesale price. Water filters and solar lights also help protect the environment by eliminating costly plastic water bottles and disposable batteries. I live in Puerto Rico and personally act as a volunteer, distributing the supplies on the weekends and getting the word out in my spare time. Your donation means so much! 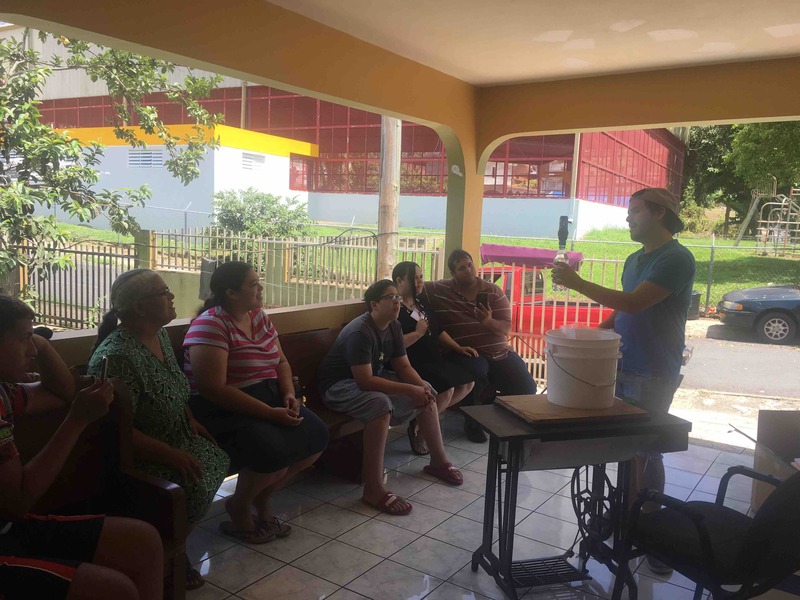 When we distribute the supplies we explain to people how the water filters work, we talk with people and we learn about their lives - how they cope with no water and electricity or how they fear the next hurricane season. I can tell you first-hand how much people appreciate this gift - it really means so much to them, to be able to keep their families healthy and safe and not have to worry so much and to know others care. There is no greater gift than letting people know you care. I do a happy dance every time a GoFundMe donation comes through!! Your donation to Together Puerto Rico helps a LOT and makes a BIG IMPACT. To combat not having clean water to drink, eliminate bacterial infections and save lives, I am asking everyone to join and help contribute to this campaign - every bit helps - $5, $10, $25, $100, whatever you can afford. Every amount makes a huge difference! Or please simply SHARE this information with others! Sharing alone brings in an average of $40! "Thanks to your generosity we have been able to give food, clean water, and toiletries to people in need. 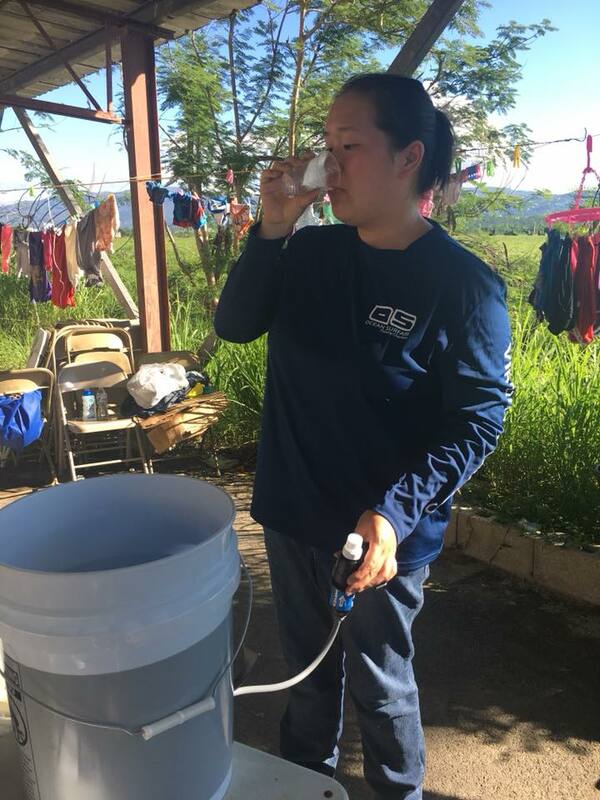 One woman has a baby and lost her 14 year old to leptospirosis; that water filter was immensely appreciated." Also visit https://www.togetherpuertorico.com for information about our organization. 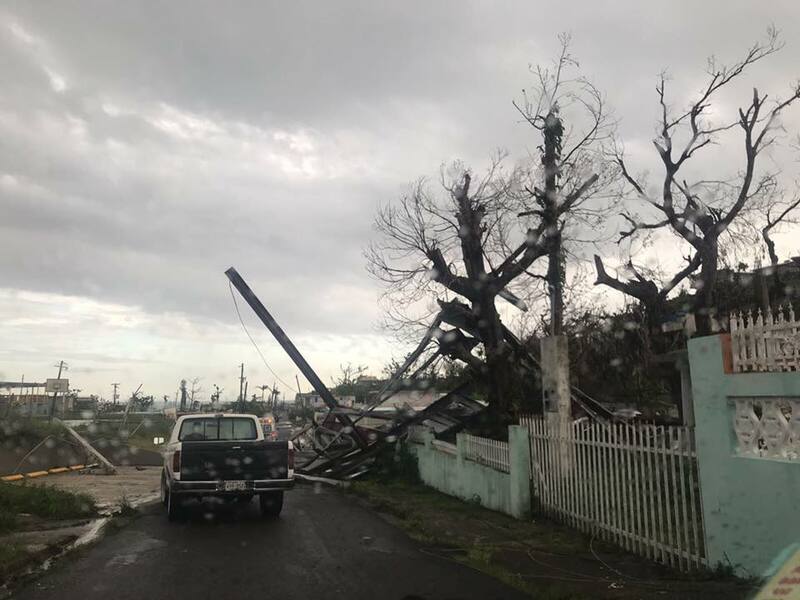 Because of Hurricane Maria, many Puerto Ricans, especially in the mountainous areas, do not have running water or access to clean drinking water. Several deaths and nearly a hundred cases of leptospirosis, a water-born bacterial disease, have been confirmed. We are ensuring that people who need it most are receiving water filters which reduce death, illness and bacterial disease, like salmonella and parasites. Together Puerto Rico is now on the ground in Puerto Rico and working with Water for Puerto Rico to deliver water filters and other supplies. I wanted to share with you some photos of my trips over the weekend to Canónovas and Arecibo/Florida, PR. 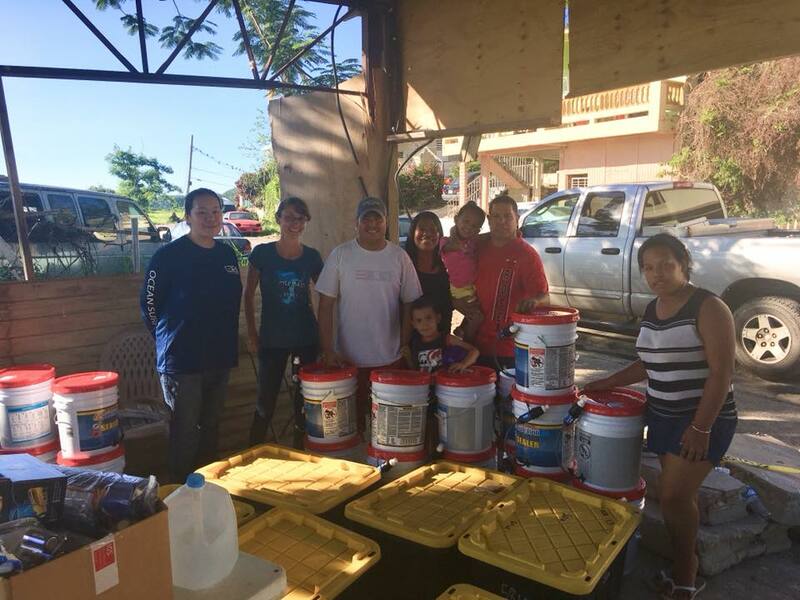 We took 20 water filters and buckets to a pastor in Canónovas and other supplies that Water for Puerto Rico had received from Oregon for Puerto Rico. We gave a demonstration on how to use the water filters and the pastor and his family helped us put them together. 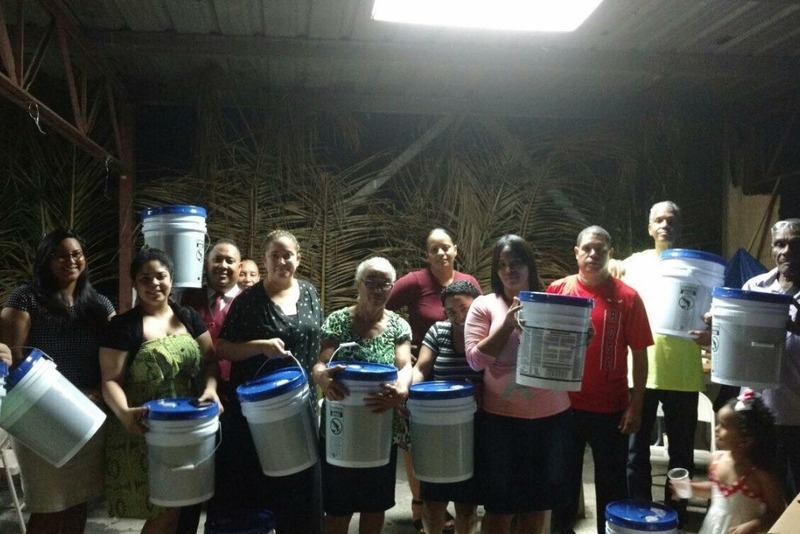 The next day, the pastor distributed the filters and buckets to people in his community. They were so grateful for the supplies!! They said that no one had been to their street yet - not FEMA, not the electric company and not even the mayor. They had severe damage to their homes, which had a beautiful view of El Yunque, the National rainforest. They showed us video of their two story home being flooded. They had to escape out the back window and up a hill with snakes and centipedes and children on their backs. A true nightmare and they still are without electricity nearly 80 days later. The very next day they sent us photos of the people to whom they distributed the water filters and buckets and other supplies. The next day (Sunday) we drove out to Florida, a mountainous town outside of Arecibo. People have not had electric there for a very long time! We distributed 35 of the water filters and buckets and gave everyone a demonstration on how to use them. Everyone was grateful for the supplies! This week we are trying to decide the best place to take the buckets but we are speaking to a woman who knows of 50 cancer patients in need. Just to let you know, I am not drinking the water in Puerto Rico unless it is filtered and have begun to wash my face only with filtered water, as a strange rash was on my eyes. I thought it was an allergy but other people have reported similar problems. There is still an island wide boil advisory and only half if people have electric. These water filters are really helping people so much and your contribution is saving lives and helping people stay healthy. Please continue to spread the word!! Thank you so much for giving us the opportunity to purchase these filters and get them to the people who need them the most!! Just an update to let you know what has been happening! Thank you all for the continued support - together we are helping to keep people safe, healthy and alive. Every time one of you shares this campaign with your Facebook contacts, I have at least one donation come in! I am so appreciative that we have crossed over the $4,000 mark! - Purchased and dropped off $700 worth of food, drinks, baby items, and personal hygiene items for evacuees of neighboring islands in Puerto Rico. Thank you so much for keeping Puerto Rico in your thoughts. Clean water is and will continue to be a problem for the island for a long time to come. Because of so much flooding and devastation of dead animal bodies and the sewage system, the water supply was ruined, dams broken and it is very dangerous to drink the water without boiling it or using a quality, specialized water filter that gets rid of bacteria. People can not boil water since about 90% still do not have power, and even those who do have it, only have it on and off where it goes out for hours or a full day at a time. The priority now is WATER. Half of 3.4 million people do not have ANY water, and there is NO DRINKABLE WATER anywhere on the island. At least 4 people have died from leptospirosis and many more became ill, which is a dangerous bacteria. There are water filters that can get rid of 99.99999% of bacteria, including bacteria that causes leptospirosis. Watch the video -- this reporter has become a hero for Puerto Ricans. We have almost met the original goal of $5,000 but I am changing it to $15,000. This is a crucial step and means I WILL NEED YOUR HELP. THIS IS YOUR CAMPAIGN, TOO! PLEASE SHARE MY POSTS AND LET OTHERS KNOW HOW DIRE THE SITUATION IS. If you know me at all, I don't cry wolf unless there is a wolf. I am so grateful to everyone who has donated; you know have no idea how excited I get when I hear my GoFundMe ding because I know what a difference you are making in someone's life. My plan is to raise money only for the water filters (1,000 of them!) and send them to Casa Pueblo in Adjuntas or another organization called Water for Puerto Rico , which has people on the ground to distribute. 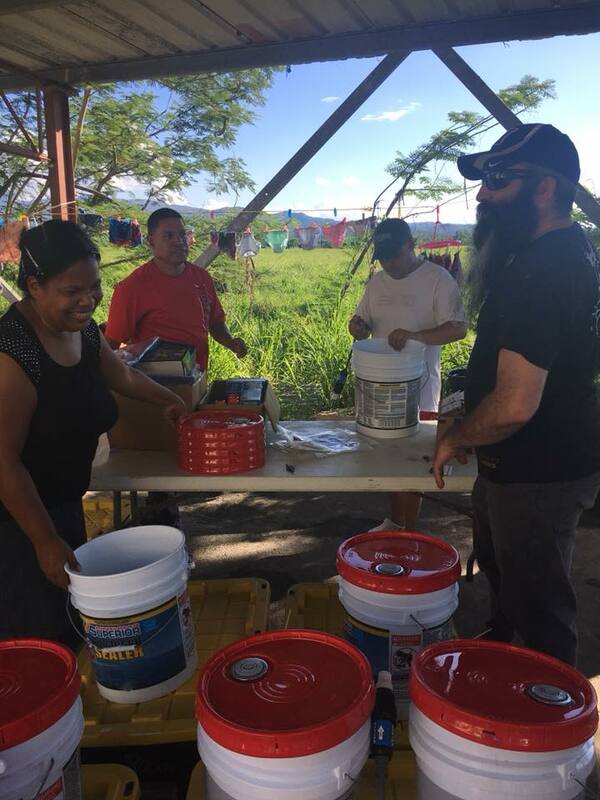 I spoke to a company in Tampa - Sawyer - who will sell the water filters at cost to anyone working with disaster stricken populations, that means they will sell them for $9 for a personal water filter and $12 for a filter that attaches to a bucket. They are normally $22. This Go Fund Me page was created to bring solar light and other survival tools (gas stoves, water filtration systems) to people in Puerto Rico without water or electricity in the aftermath of Hurricane Maria. One $40 donation buys a 4-pack of solar lights! Monster Maria completely decimated the island of 3.4 million people. 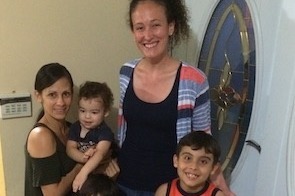 This GoFundMe was created by Jami Broom, who has called San Juan, Puerto Rico home for the past few years. Because of YOU, 100 new solar lights are on their way to Puerto Rico!! I found a great partner to work with who is going to fly supplies to a trusted grassroots nonprofit organization in Puerto Rico called Casa Pueblo (casapueblo.org). They will then be able to distribute the solar lights that you helped purchase! The lights are on their way as we speak to Houston, TX and will fly out October 9th! LET'S KEEP THE MOMENTUM GOING! Now that we have a trusted partner, let's try to reach that $5,000 goal in the next few days so that we can get even more solar lights in the hands of the people. I received this message from Angel today ... "People are so grateful for the donations at my work. Thanks so much." Unfortunately, the problem in Puerto Rico is going to persist for a long time. This hurricane was worse than Katrina, Harvey and Irma combined. There are 3.4 million people in Puerto Rico and the majority have absolutely no lights and will be without lights for months. 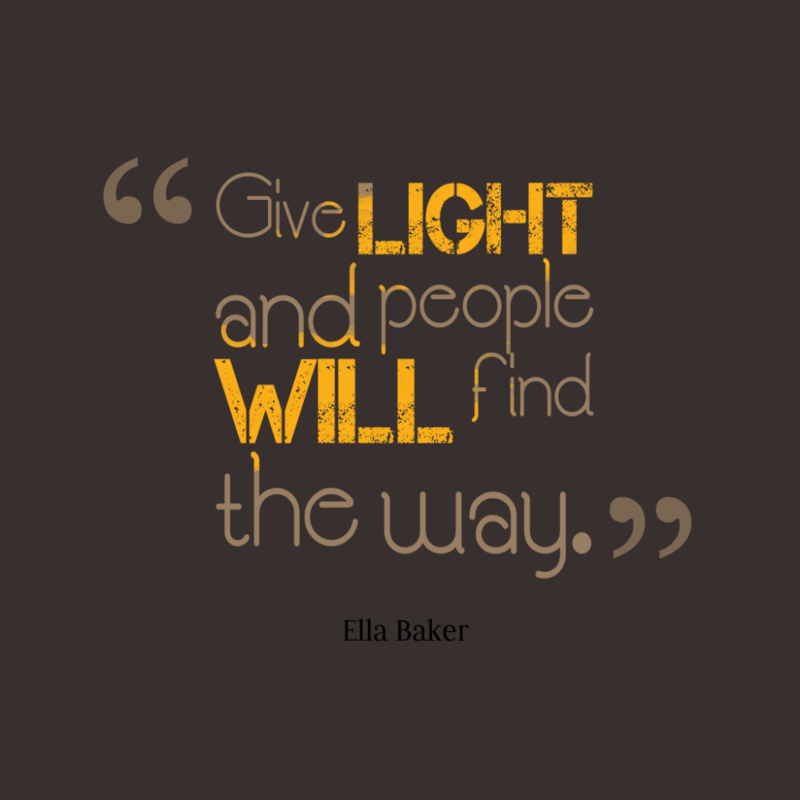 Let's try to keep people safe and secure by giving them light! <3 Thank you all so much!! Thank you everyone! I want to let you know that the supplies I took to San Juan have reached the people! I have returned to Tennessee for now ... though I feel an obligation to stay and help physically, given all the circumstances in my life, I will be able to help more from here for now with an internet connection and not in the chaos of trying to find food every day. The great news is that I was able to distribute two solar panels and solar lights to two people who are out helping others and need to stay in communication. I will explain how the other supplies were distributed below. First I want to tell you how dire the situation is in Puerto Rico. The island was obliterated. The vegetation is gone ... the rain forest ... it will grow back(?) but for now it is gone. It is extremely depressing to see nothing but brown on such a big island that was once so lush. But worse than this utter destruction of homes and nature, is the worry on the faces of everyone in the street - how will they get their next meal? how will they get gas? will there be enough water? The entire island of 3.5 million people are in "survival mode". 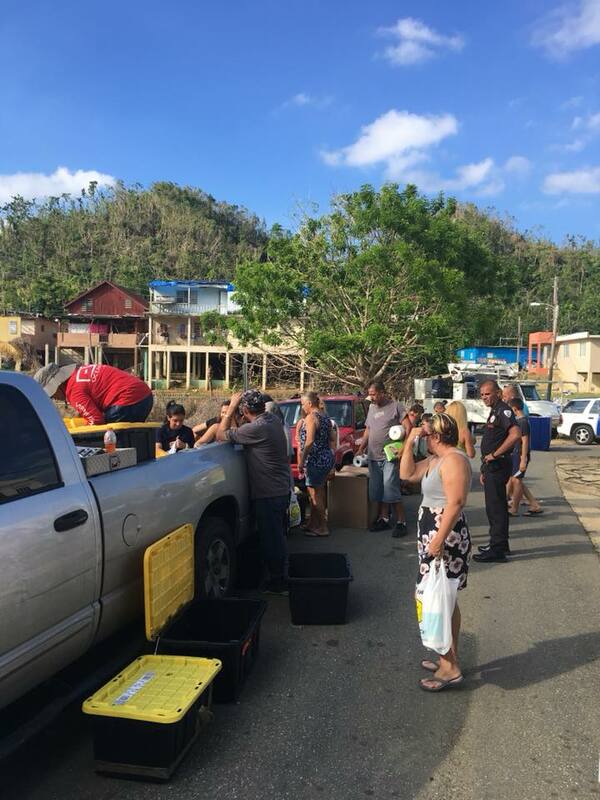 Although Puerto Ricans, or Boricuas as they are known by their Taino Indian name, are out helping one another and making the most of a very bad situation, there is a lot of tension and stress and worry of what is to come. People are waiting 4-8 hours in line for gasoline. The grocery stores, if you can find one open also have very long lines. Many people still do not have water. No one has electric. The heat is stifling. The second person I gave a solar panel to - in addition to contributing to this campaign - is also helping people and is the person who distributed the supplies. Angel Rivera, who lives up to his name, works for the Health Department of Puerto Rico, providing services and resources for mainly low-income HIV patients. 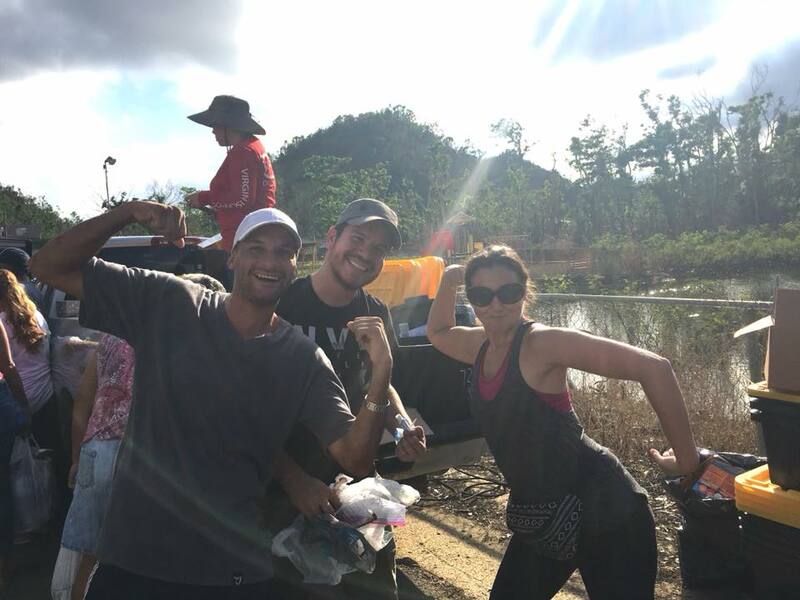 Because my time in Puerto Rico was so limited (I either had to get out now or who knows when - all other flights were booked) and because communication was so difficult and gasoline so difficult to come by, I would not have been able to get the supplies into the hands of the people most in need without Angel's help. Even though he was back to work full time at the Health Department, Angel made an effort to drive to my location and collect the supplies, help me sort through them and think about the best way to deliver them and to whom. He had several coworkers who lost everything in the hurricane - one only had a partial roof on her home, one they are still trying to reach. These are people who provide health services to many of the island's lowest income people and need to be able to function and get to work. They were given the gas stoves and other solar lights/panels as well as the water filtration systems. There were several "packs" that were given to people. The rest of the solar lights - about 15 of them - were distributed to the clients that come to the health center - most of whom are HIV patients. These items are already helping people - I used my Luci Light - the solar blow up light - for the four days I was in Puerto Rico and it was such a blessing. It is very dark on the island and people need light to be safe. Please see the pictures below Angel sent me from his work where the supplies were mostly distributed. He sent more pictures but this GoFundMe platform only allows me to post three pictures at a time. Also, with checks in the mail and PayPal donations, we have also reached the halfway point in my original request! I will have another update soon on what I plan to do with the rest of the donations. There are so many options, but I want to make the most of our money. Thank you all so much - your donation and these supplies have already helped quite a few people. Thank you to everyone who has been asking how they can help and what they can donate to help the people of Puerto Rico recover from Hurricane Maria! My name is Jami Broom and for the last several years I have called Puerto Rico "home". Wow. What a crazy month. TWO hurricanes! This has been a very stressing time. Fortunately/Unfortunately I was in the United States when Maria struck Puerto Rico. When I left Puerto Rico for a scheduled trip, I had no idea another hurricane was coming. For several reasons and obligations to other people (and my cat), I have to go back, although I do not plan on staying very long if there is no water or electric, as I realize that I may do more good from here than there. That said, since I am going, I will be taking supplies down with me. I have spent the last two days gathering supplies - since FEMA and other government agencies already are good at distributing water and food, I thought I would focus on other needed items that help people be safe and in communication, like solar energy and rechargeable batteries. Since I am only one person, I can not take much with me, but have contacted Delta who says they will wave my baggage fees. I bought all the portable solar panels I could find in this region (TN/VA/NC) and also went to Diamond Brand Outdoors, who gave me a 20% discount(!) once I mentioned that I was gathering supplies for Puerto Rico. What a big help that was! Anyway, I added it up and with the discount, and not including tax and not including supplies I bought for myself, I spent $920. When I get to Puerto Rico (should be Tuesday!) I will distribute the solar lights, solar battery chargers and panels to people in need. If anyone wants to help me recover these costs, please and thank you for donating to this page. ONCE I GET TO PUERTO RICO I will be looking for other opportunities to help the island and distribute solar lights, solar security lights, solar panels and solar battery charges. Small solar panels can help people charge their phones and other USB devices, like flashlights and small fans. Rechargeable batteries by solar energy can be used for battery operated fans, flashlights and radios. People need to feel safe in their homes and on the streets and be able to communicate. Here is a good opportunity for you to help! If anyone has any ideas about getting solar panels, solar lights distributed at a discount or getting a shipping container together or other transportation (airplanes?) to get these items to people, please contact me. Please let's help work Together for Puerto Rico! A couple hospitals in Puerto Rico are taking in people whose lives were devastasted by neighboring islands. These people, children and babies are in need of clothing, blankets, and basic necessities. One of these hospitals is right down the street from me here in San Juan, Puerto Rico and I plan on purchasing some of these items myself but thought it would be a great opportunity for anyone glued to their tv set watching IRMA about to batter Florida, to feel like they can do something to help. Thank you so much for caring!! Hello, everyone! Just an update to let you know about the wonderful things happening, due mostly to your generosity and support! We are continuing our work around the island, bringing supplies and water filters and solar lights to families in need! A couple weeks ago we went to Loiza, Puerto Rico, a northern coastal town (predominantly African American) that was suffering major damages from Hurricane Irma (which left 40 families homeless) when Hurricane Maria hit the island, making matters much worse for everyone. There we met up again with community leader Kenny Diaz who had requested solar lights as well as hygiene products like adult diapers, feminine products and toothpaste and soaps/shampoos. We were able to distribute 40 solar lights as well as hygiene products. 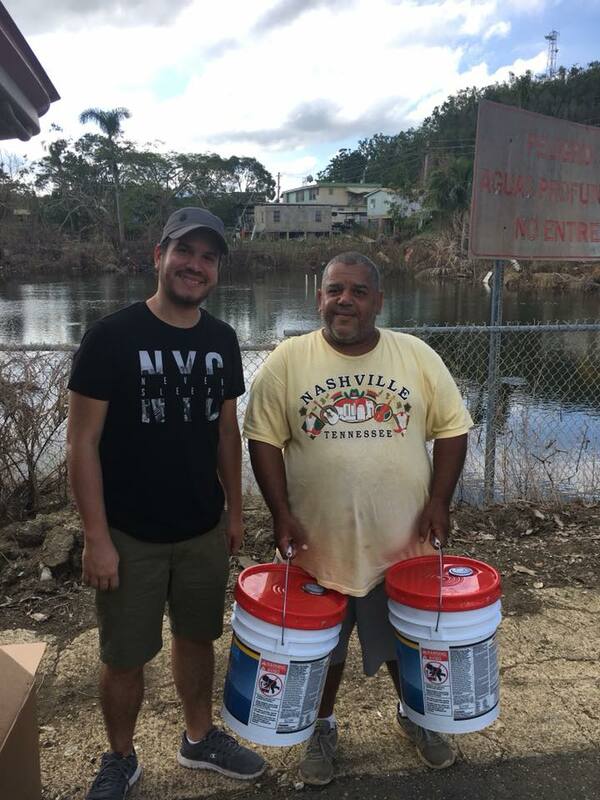 This community had already been given water filters by our partner, Water for Puerto Rico / Agua Para Puerto Rico. 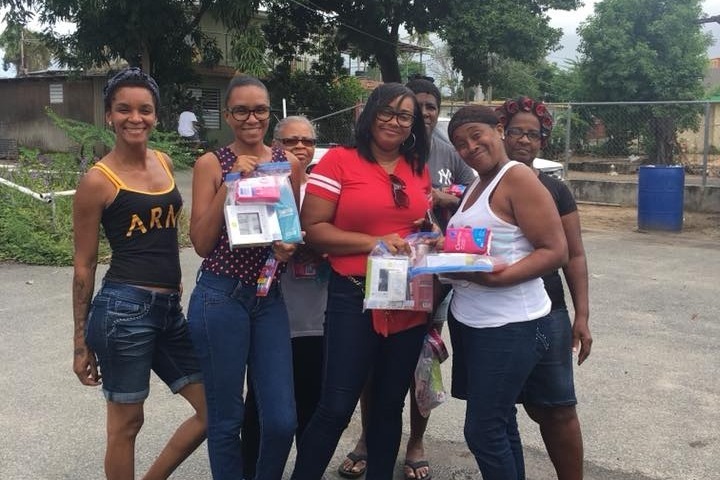 Currently we are working with our new partner Siempre Contigo (which means Always with You) and organizing our distribution efforts to be directed toward families who have seniors and bedridden people as well as single mothers and people who have been hard hit by the hurricane. These families especially need more assistance as medical costs are so high, time so valuable, and people with weaker immune systems need clean water. 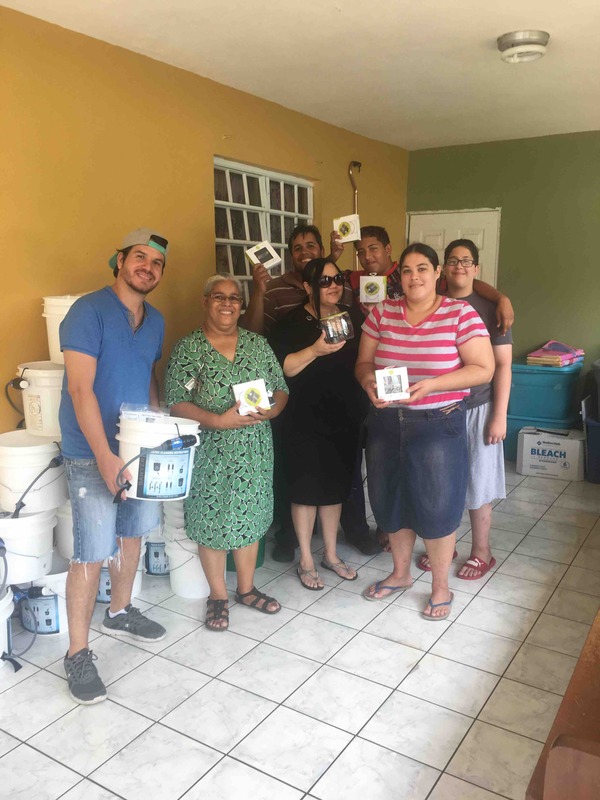 Siempre Contigo gave us a list of nearly 100 families that they have been helping in Puerto Rico since the storm and we are working on delivering the filters and solar lights to them. This weekend we began going door-to-door around the island and into the mountains to distribute the water filters and solar lights. 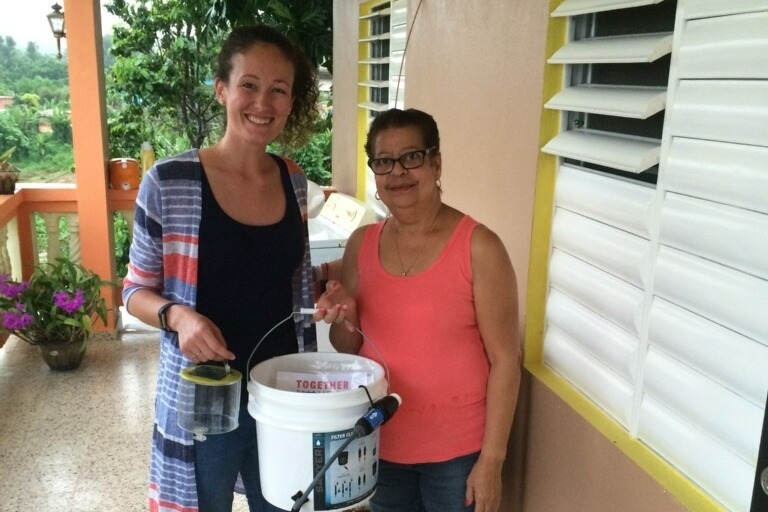 We were able to recruit some AMAZING NEW VOLUNTEERS - who delivered water filters to Arecibo, PR, another coastal town. We were also able to reach one family who was in a very humble situation high in the mountains of Jayuya. We will continue recruiting volunteers for distribution this week and hopefully be able to reach all the families in the next few weeks. In other news, we are SO GRATEFUL for the support of our donors and are happy to report a large sizable donation of $2,907 from the All Souls Unitarian Church. A special thanks to Rev. Mark Bowen who made that donation possible. 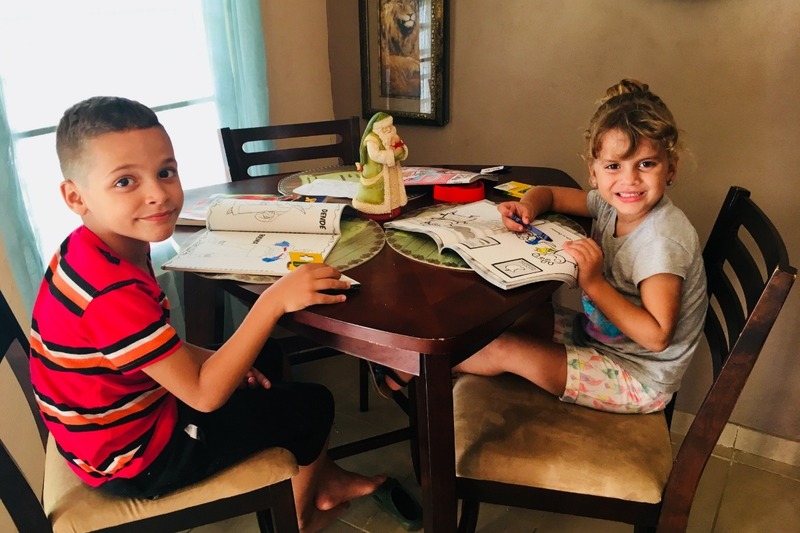 I also woke to the HAPPY NEWS TODAY that we received a large donation from Adam Thodey of Lyons, CO who generously matched the donations he raised for his Summer Science Program (SummerScience.org) and donated them to @TogetherPuertoRico. THANK YOU. This means we will be able to reach so many more people and keep them healthy and safe. 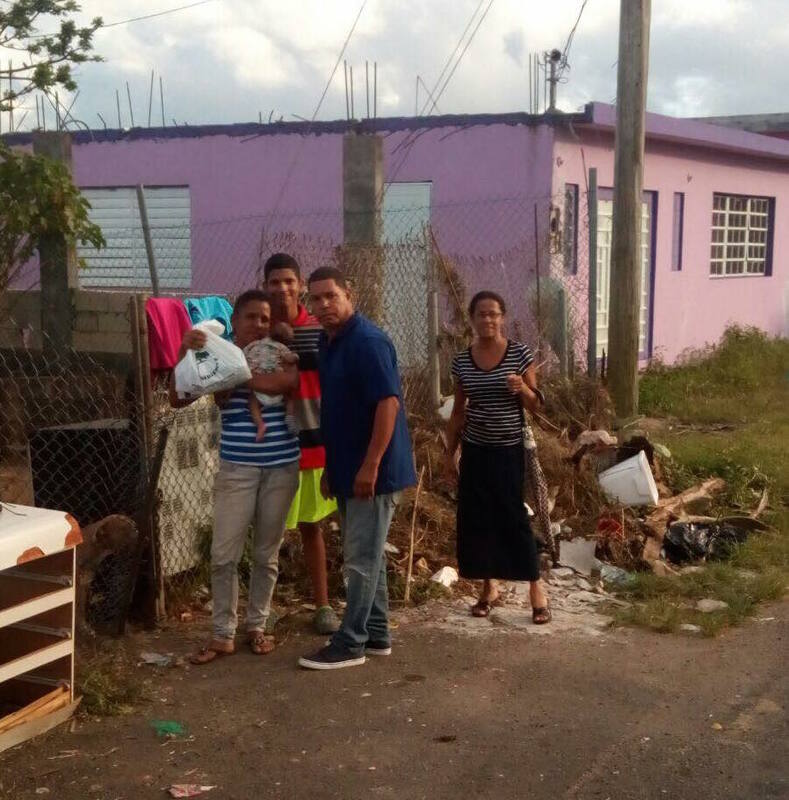 The first photo is a group of neighbors in Loiza, PR we took solar lights and supplies. 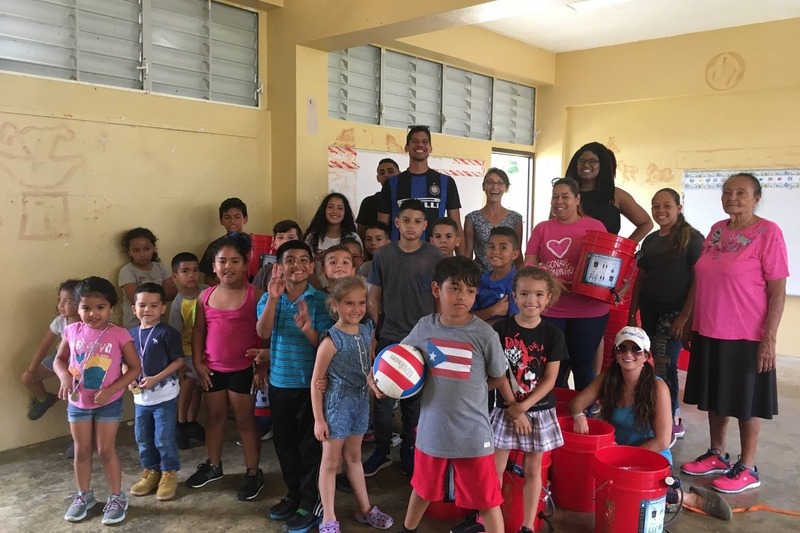 The other two photos are of our volunteer extraordinaire Jen Crowley who delivered water filters and solar lights in Arecibo, Puerto Rico. Together Puerto Rico is a 501(c)(3) charity, which means your donation is 100% tax deductible. It has almost been one year since Hurricane Maria hit our pretty island. Puerto Rico has become beautiful once again, but there are many obstacles - figuratively and literally - mainly politics/government and physical objects like telephone poles still falling and debris in too many places. People are still worried about having clean water and no electric, especially as hurricane season is here once again. Many people are still with only a blue tarp for a roof and still many have had so much damage, they may never be able to return home. Thank you all so much for contributing - any amount helps so much! Remember, we are merely volunteers - 90% of your tax deductible donations goes toward providing needed supplies to hurricane victims. We can not do it without you! Please like us on Facebook and visit our website! I’ll be there 5/5-13. Any volunteer work needed?